Have you ever just sat and thought about what it would be like without a TV, cell phone, computer, internet, or video games? In my mind, it takes me back to Little House on the Prairie days with children doing chores around the house to earn their keep – helping mom cook and do the dishes (hand washing them) and helping dad farm the fields and take care of the animals. People’s relationships with each other would probably be stronger because you would have to actually interact with people on a face-to-face basis or by making a phone call instead of texting or social media, but at the same time, you wouldn’t be able to communicate with friends and family across the state, country or world in a matter of a few seconds. How would we build multi-billion dollar businesses? How would we create jobs for people? How would we create opportunities for people to receive an education from a distant location or from the comfort of their home, especially in cases when they are disabled and unable to walk to class? Or how would we interact with our loved ones fighting a war overseas who are gone for months or years at a time? How would we keep up to date about news in the next town or across the country or world? Emerging media matters and currently, we are living in an era where we can market to anyone, anytime. What matters the most about emerging or new media is that regardless of what technology you use, information is transmitted. You can receive information, send information and even request to be sent information. This information can be accessed from almost anywhere. The ad below, taken from AT&T’s website, declares that you can chat, text and surf the web all from the palm of your hand. According to the Nielsen State of the Media Report, nearly a third (32%) of people aged 18-24 use social networking in the bathroom (eww!) and 51% of people aged 25-34 use social networking in the office. Talk about multi-tasking! Possibly even a little too much! 🙂 The thought of using your phone while in the bathroom certainly has to be extremely unsanitary. Nonetheless, consumers still access information through many different forms of media such as websites, widgets, RSS feeds, podcasting, videos, TV, chat rooms, social networking, and smartphone apps. An article published on December 3, 2012 from the Washington Business Journal states that according to Nielsen’s latest numbers, more than a third of the time spent using social networking sites on PCs and mobile devices is on smartphones in this country. In a report published in December 2012, research showed that total time spent using social networks via a smartphone app is up to nearly 41 billion minutes yearly, close to seven times that of mobile web activity. Consumers are using their smartphone for “virtually” everything! I don’t use my smartphone nearly as much as I could. My favorite apps are Facebook, Pinterest and the Words with Friends Game. Smartphones are also a great tool for entertaining your children while waiting for something. 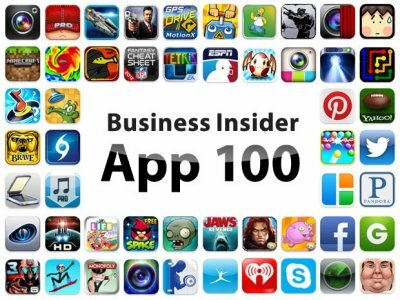 🙂 I discovered an article posted on Business Insider called the App 100: The World’s Greatest Apps. It is definitely worth the click to discover the top rated apps in many different categories (i.e., news, finance, social media, photography/video, music, weather, games, entertainment, sports, etc.). Many of the apps that we use on our smart phones and tablets influence the products and services we use. These apps can help us to decide on which restaurant to eat at by looking at reviews and ratings, price, location and the menu; they can also help us attain coupons or discounts for our favorite stores. Marketers use our smart phones, tablets and the web to strategically place ads, track user preferences and navigating activities and personalize the messages and advertisements presented to us. They also use the information collected from all of our behaviors and activities for research to learn how they can continue to better market to consumers. This entry was posted in Emerging Media by Crystal. Bookmark the permalink.